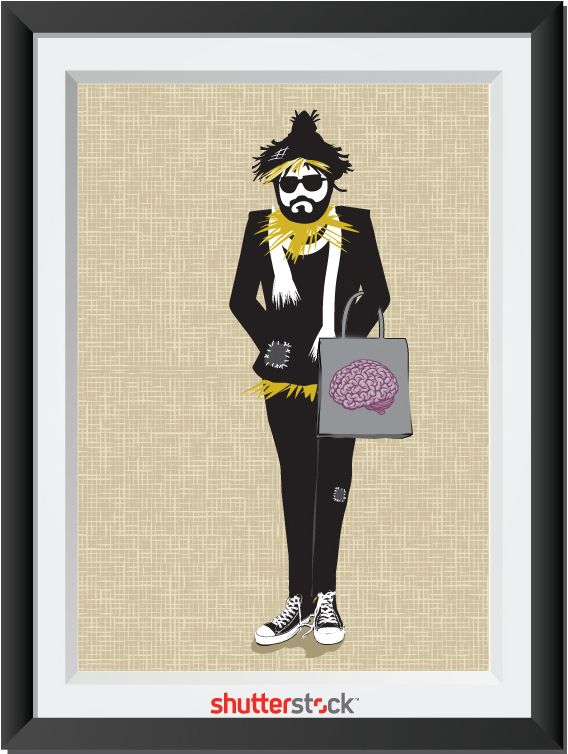 What if… it was the Hipsters of Oz? Since every generation has gleefully embraced The Wizard of Oz, it got us thinking… Suppose the story was told through the lens of one of the most prominent groups of today’s generation: hipsters. What if we put on a pair of magical vintage Wayfarers, ones that gave us “Hipster Vision,” and revisited this timeless classic? Would Dorothy have packed a thermos of coffee in her courier bag before embarking on her journey? Would the Cowardly Lion have proudly sported bed head? Would the Scarecrow have stuffed his straw into skinny jeans? 28 years later…. an Oz Club Member! You would have thought that given I have been a major lover of all things Oz since I was about 5, I would have joined the Oz club sooner rather than take 28 years. Well I did nearly join on a couple of occasions but ultimately I never got around to it. I think this has a lot to do with feeling a little disconnected from other Oz fans, the Oz club was there online as well a few Oz fans, but I never really felt a connection with the Oz Club in the UK, there are not so many of us who are fan’s of the Oz series of books in the UK. I’m certainly not aware of any conventions ever happening in the UK, so it can be quite solitary being an Oz fan collector over here. The Many Variations on the Wizard of Oz The Judy Garland version actually flopped at the box office, initially. But resurgence from initial failure or indifference is a sure sign to me of a powerful cultural myth, and the story is still watched and referenced today (one of the characters in The Avengers refers to flying monkeys, and Captain America, reawakened after having been frozen in ice since WWII, remarks “I got that reference.”)(the list of TV shows and movies that reference it goes on and on and on, if you’d care to have a look). L. Frank Baum (author of the original Oz novels, of which there were seventeen)’s imdb page lists a whopping 125 credits, almost all of them Oz related. Comic Book Legends Revealed #381 While everyone is familiar with L. Frank Baum’s classic The Wonderful World of Oz (which was published in 1900), less famous is the illustrator of the book, W.W. Denslow. Interestingly enough, Denslow owned the copyright to the first book with Baum 50/50. Sadly (for Denslow), even then, Baum was accepted as the “real” author of the Oz characters and while Queer Visitors was a hit (as was the new novels, which Baum would continue putting out until his death in 1919), Denslow’s strip faded into obscurity very quickly. Wizard of Oz fans help mark historical site A landmark from Wizard of Oz fans now sits on the waterfront lot where L. Frank Baum’s summer vacation home once stood. Baum, author of “The Wonderful Wizard of Oz”, vacationed in Macatawa with his family in the early 1900s. During the International Wizard of Oz Club’s visit to Holland Aug. 17-18, club members visited the gated Macatawa Park community and donated the marker to the developers of the area. 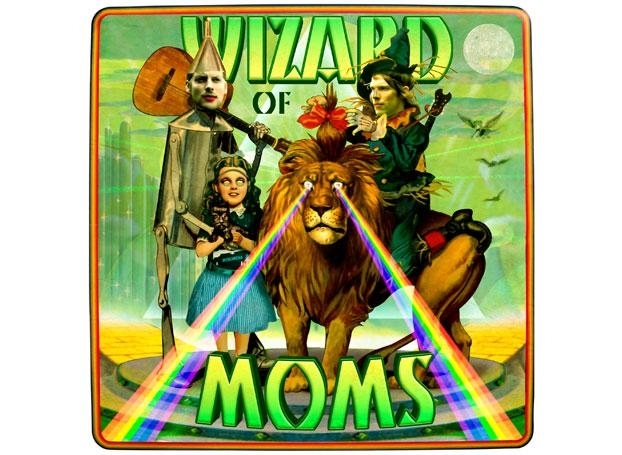 Wizard of Moms: Does Menomena’s new album pass the Oz test? Everyone knows Pink Floyd did it with Dark Side of the Moon, but it’s less common knowledge that a full decade worth of classic albums were recorded in careful lockstep with the classic 1939 film. Frampton Comes Alive!? More like Frampton Sees the Wizard! Blood on the Tracks? More like Blood on the Yellow Brick Road! Songs in the Key of Life? More like Songs in the Cowardly of Lion! Bat Out of Hell? More like Bat Out of Kansas! Judy Garland – Hollywood Costumes On Display In V&A Iconic Hollywood costumes will go on display in London this autumn. Some of the most memorable outfits to ever grace the silver screen will be showcased in a special exhibition at the Victoria & Albert museum, from Judy Garland‘s gingham pinafore in ‘The Wizard of Oz’ and the black dress worn by Audrey Hepburn in ‘Breakfast at Tiffany’s’ to Sharon Stone‘s racy white number from ‘Basic Instinct‘. Deborah Nadoolman Landis, guest curator and Hollywood costume designer, commented: ”This landmark exhibition will provide a once-in-a-lifetime opportunity to explore the most beloved characters in Hollywood history and gain insight on the role of the costume designer and their vital contribution to cinema storytelling.” The extensive exhibition was five years in the making and costumes were sourced from all over the world, gathering objects via museums, motion picture studios, costume houses and private individuals. Next stop, Oz: Actress eyes Dorothy role Windsor’s Danielle Wade is among 20 semifinalists in a nationwide search for the role of Dorothy in a stage production of The Wizard of Oz. The 20-year old LaSalle resident is in Toronto this week at “Dorothy Farm,” an intense training and selection process aimed at whittling down the number of finalists to 10 for CBC-TV’s fall reality show, Over the Rainbow, starting Sept. 16. Ironically, Over the Rainbow was one of the first songs Wade sang on a stage. Wizard of Oz fans hit Holland, ruby slippers and all Just ask Walter Krueger and he can tell you the price of a replica pair of ruby slippers or the value of the original Emerald City wool coat. He owns both. As an avid fan, collector and appraiser for Wizard of Oz Collectors United, Krueger, of Chicago, has devoted a good portion of his life to the Wizard of Oz story. Krueger was one among about 100 Wizard of Oz fans who gathered at the Doubletree Hotel in Holland this weekend for the annual International Wizard of Oz Club National Convention. Local playwright gives ‘Wizard of Oz’ a campy, thriller spin“Dot’s Journey” will be presented as an old-time radio drama, with the actors standing and speaking into microphones onstage, with live sound effects. “It’s a campy vintage thriller,” says the imaginative playwright, who is directing the show’s premiere. 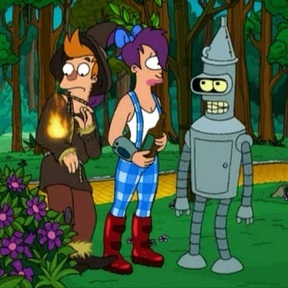 Set in California circa 1939, the “Oz”-paralleling story has Dot (played by Jennifer Sanford Bernhardt) traveling on a train called the Yellow Trail Express, where she encounters three men with personality traits that parallel the Scarecrow, Tin Man and Cowardly Lion (Doug Tennant, Leland Pettis, Scott Mason). Wizard of Oz Club convention visits Oz history in Macatawa Park The International Wizard of Oz Club kicked off its National Convention in Holland this weekend with a nostalgic tour Friday through Macatawa Park, where L. Frank Baum, author of “The Wonderful Wizard of Oz,” once spent his summers. 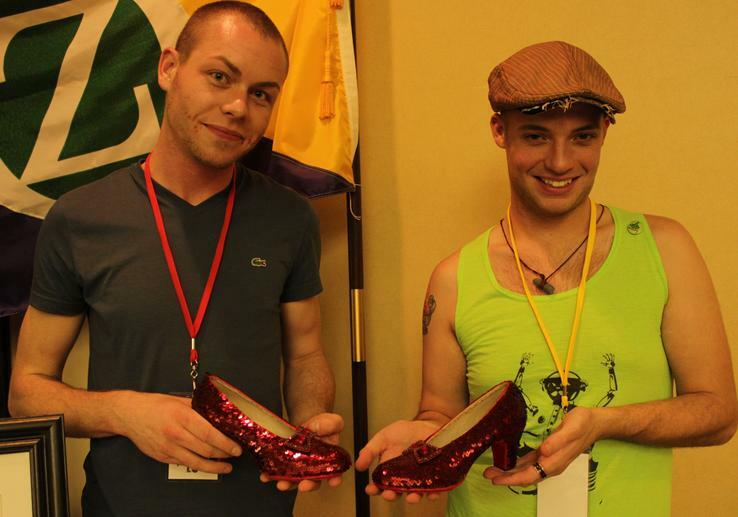 Oz fans from across the nation traveled to the Lakeshore for the club’s first convention in the area in 25 years. Off (to Holland) for Wizard of Oz weekend Guests for the weekend include Christianna Rickard, author of Remembering Oz and niece of Ray Bolger (who played the Scarecrow); Tom Doyle, author of The Wizard of Macatawa; Angelica Carpenter, author of Frank Baum: Royal Historian of Oz, and author and historian John Fricke. 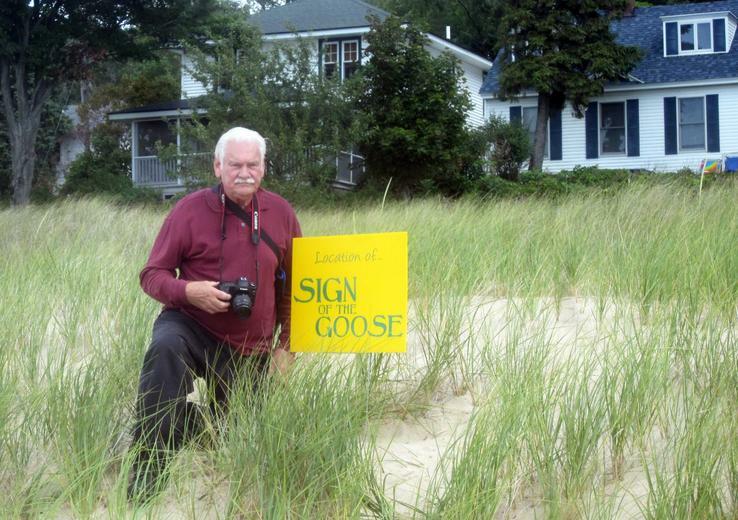 International Wizard of Oz Club members also will put on a play based on Baum’s book Tamawaca Folks: A Summer Comedy, tour the Macatawa Bay Yacht Club, of which Baum was a member, and walk the route that Baum would have taken from the Chicago ferry dock to his Sign of the Goose cottage on Lake Michigan. The Wizard of Oz comes to Coeur d’Alene Time Warner Cable and KXLY ABC 4 are proud to host the sixth annual “Movie in the Park ” at Coeur d’Alene City Park on Friday, August 17th. This year’s feature movie is the 1939 musical classic, “The Wizard of Oz.” This event has become somewhat of a North Idaho tradition for families and movie fans of all ages. Everyone is encouraged to dress up as their favorite “The Wizard of Oz” character for a fun and festive evening. Time Warner Cable will also be providing complimentary photos in front of a “Yellow Brick Road” themed backdrop. A photographer will be on hand to take photos for everyone to take home as a keepsake, courtesy of Time Warner Cable. 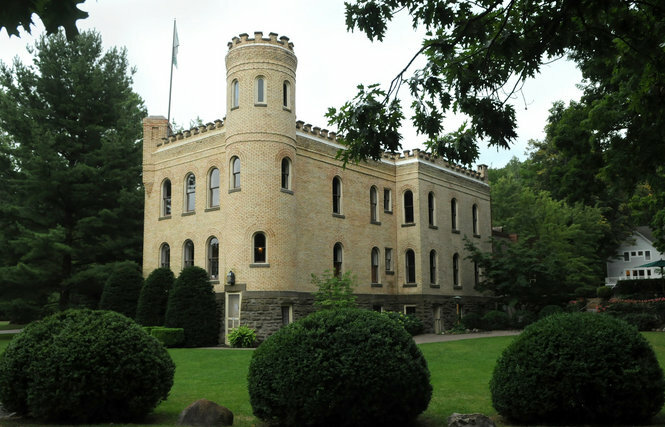 Wizard of Oz Club convention returns to Holland after 25 years This weekend, about 100 “Oz” fans will gather to discuss the islands, castles and homes that attracted Baum to the close-knit community in the early 1900s. They will visit the site of his former three-story home in Macatawa Park, walk the trails he walked, and see the steamship landing that welcomed Baum from Chicago each summer from about 1898 to 1909. “This year’s convention is a little bit more historical,” Kathleen Di Scenna, the club’s chairperson, said. Sony’s Oz-Somely Huge Rainbow Art Culver City is the place over the rainbow (actually, Culver is both sides of the rainbow, if you want to get technical). “The Wizard of Oz” began production on the Sony Pictures Studio lot, making rainbows and the city forever entwined. Now an actual colorful arch will stand on the very lot where “Oz” shot in the form of artist Tony Tasset’s “Rainbow.” And, like a real rainbow, it will have a rather impressive size: The artwork will be “94 feet across by 188 feet tall.” The mega bow will, in fact, span the distance between Thalberg building and Madison Gate, if you know your studio layout. If you aren’t as familiar, the stretch is impressive. Wizard of Oz Stylized Bridal Shower When I walked into the house, I couldn’t help but instantly smile at the transformation and welcoming sweet smell of fresh blossoms. Nicole of Blooms of Hope had stylized a bridal shower she was throwing for a friend. The décor was not just your ordinary shower details – it was a sophisticated twist on the Wizard of Oz in every.single.room. From a glowing yellow brick road, haystacks, ruby blooms, and perfectly colored drinks, it was a feast for the eyes. Joanna of Three Little Birds Studio designed the most gorgeous bridal shower invitations, drink tags and cards reflecting quotes from the movie. There were details tucked within the blooms and in the small spaces in each room. Seriously amazing. Seriously. It was absolutely gorgeous and I could not get enough of photographing their vision and work. You can only imagine the reaction when the bride-to-be and her guests arrived! Wizard of Oz hits Bacchus Marsh FROM Dorothy and Toto to the Tin Man and cowardly Lion, Bacchus Mash will be transformed into its very own Wizard of Oz. As part of the shire’s annual Literacy Trail on August 30, children and adults alike will let their imaginations run wild as they walk the wonder trail of Oz down Main St. The Literacy Trail also includes a host of colourful characters on the day including stilt police, circus dogs, a magic chef, fire juggling, story telling, and the police band.